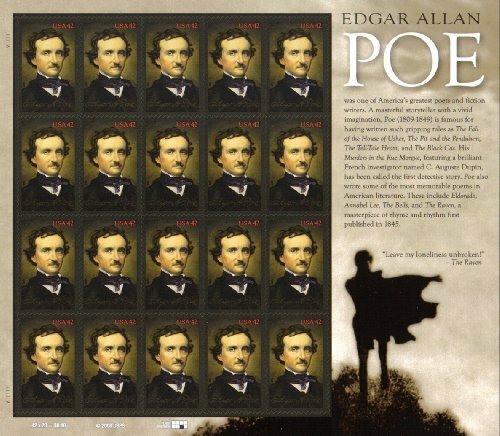 On January 16 2009 In Richmond, Va The Usps Issued Celebrated The 200th Birthday Of American Writer, Poet, Editor And Literary Critic, Edgar Allan Poe. Best Known For His Tales Of Mystery And The Macabre, Poe Was One Of The Earliest American Practitioners Of The Short Story And Is Considered The Inventor Of The Detective Fiction Genre. He Is Further Credited With Contributing To The Emerging Genre Of Science Fiction. Most Famous For His Gripping Tales; The Fall Of The House Of Usher, The Pit And The Pendulum, The Tell Tale Heart And The Black Cat. 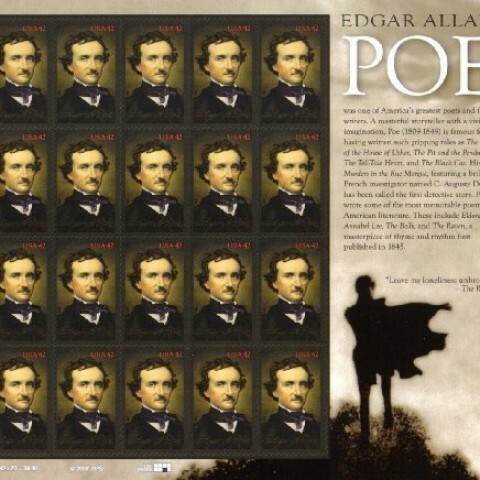 Poe Also Wrote Some Of The Most Memorable Poems; Eldorado, Annabel Lee, And Of Course The Raven, A Masterpiece Of Rhyme And Rhythm First Published In 1845. The Murders In The Rue Morgue, Featuring A Brilliant French Investigator Named C. Auguste Duping, Has Been Called The First Detective Story. Poe Died In 1849 At The Age Of 40.